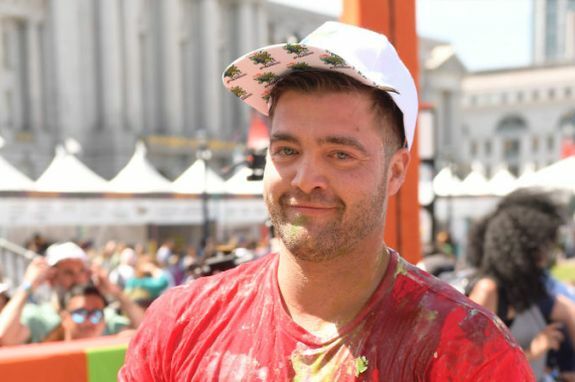 Back in July, The Ashley revealed that The Challenge vet CT Tamburello is getting married and that his upcoming wedding would be the subject of an MTV special. Now, The Ashley can exclusively reveal all the behind-the-scenes details of CT’s big day, as well as the drama that the special is causing among his ‘The Challenge’ cast mates! The Ashley has also learned some details of CT’s MTV wedding special, which, according to The Ashley’s sources, will not include as many familiar faces from ‘The Challenge’ as MTV originally hoped. “[MTV] interviewed and sent emails to the cast members that they wanted to attend the wedding and appear on the special,” one source tells The Ashley. “But later, [the network reps] came back and told the cast members that they would not be paid to appear on the special, and that MTV wouldn’t be covering the cost of [the attendees’] travel and accommodations in Miami, so a bunch of people bailed. According to a second source, MTV was pushing for CT’s current partner on ‘The Challenge,’ Veronica Portillo, to go to the wedding (despite the tension between them). There’s another ‘Challenge’ vet who will not be there to see CT and Lilianet say “I do” this weekend. One person who is likely attending the wedding is Camilia Nakagawa. As The Ashley previously told you, Camilia will no longer appear on ‘The Challenge’ due to this little incident. However, she is expected to attend CT’s wedding and be shown on the special. “Derick and Cara Maria [Sorbello] are also attending,” one of The Ashley’s sources tells her. CT has yet to mention the special. However, in a July interview with Rolling Stone, CT alluded to the fact that his fans may be getting a look at his closely guarded personal life. The Cabernet Couple and The Denim Duo spotted at Tao last night! #twinsies #vegas ??? MTV has yet to confirm the special, or announce when it will air. UPDATE! MTV has confirmed that CT and Lilianet did get married yesterday. However, the network has yet to confirm CT’s wedding special. Puck was never a challenge member. He was only on the Real World a short time before he was kicked out of the house!! What about Puck? The greatest challenge member ever. Ok, if you’re not friends with him, I get why some are pissed they aren’t getting paid but those who are………WTF, at least CT knows who his real friends are now! Johnny was always bad mouthing other cast mates (not to mention screwed Sarah over on the show) so I’m not surprised CT is pissed. These MTV “stars” are so entitled. I love CT!